Nurses! 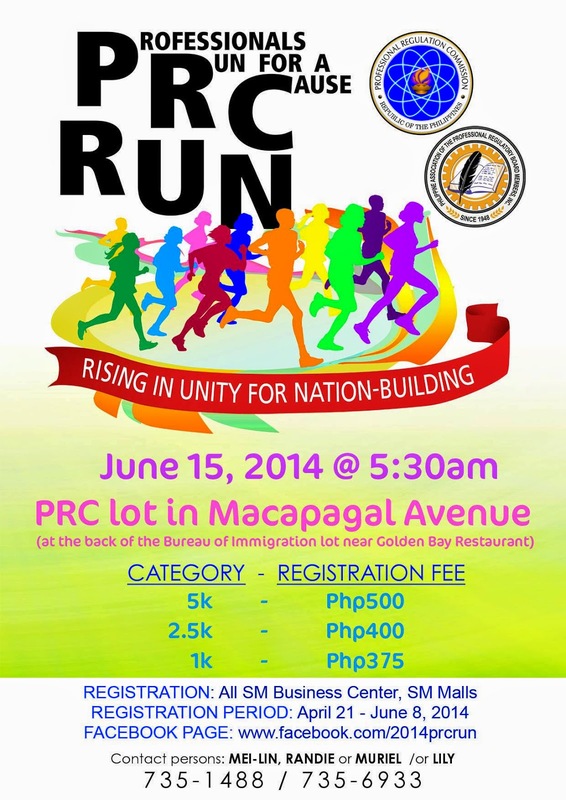 JOIN THE PRC FUN RUN! This June 15 in Macapagal Avenue; 5K - Php 500.00, 2.5K - Php 400.00 & 1K - Php 375.00. See you there!